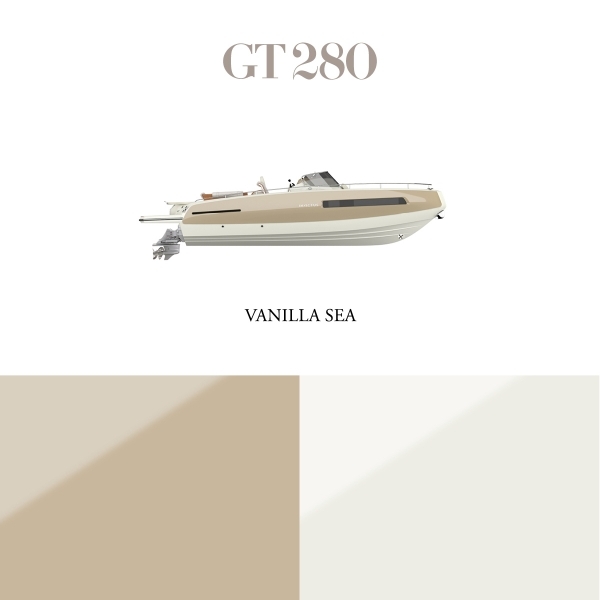 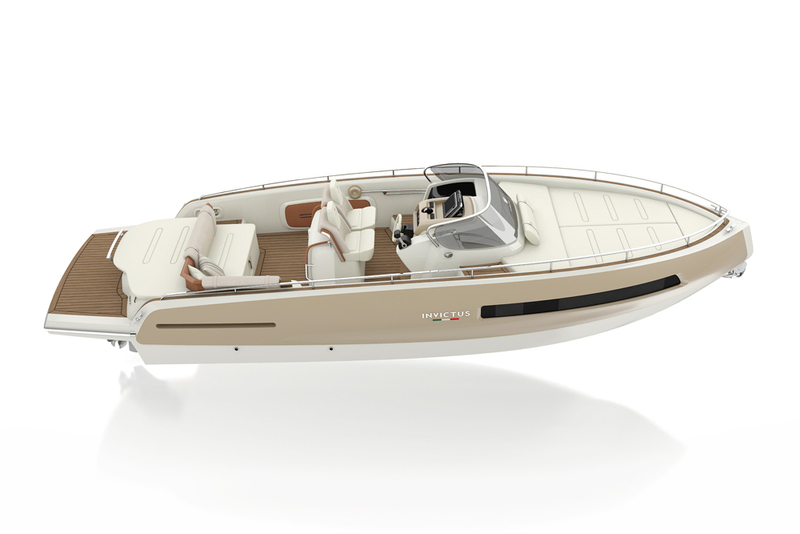 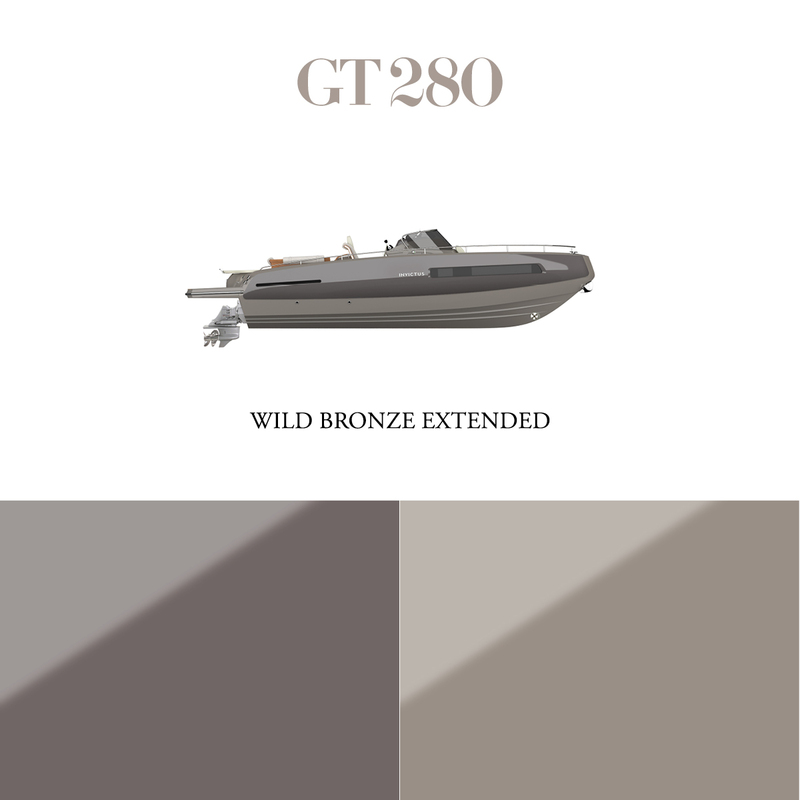 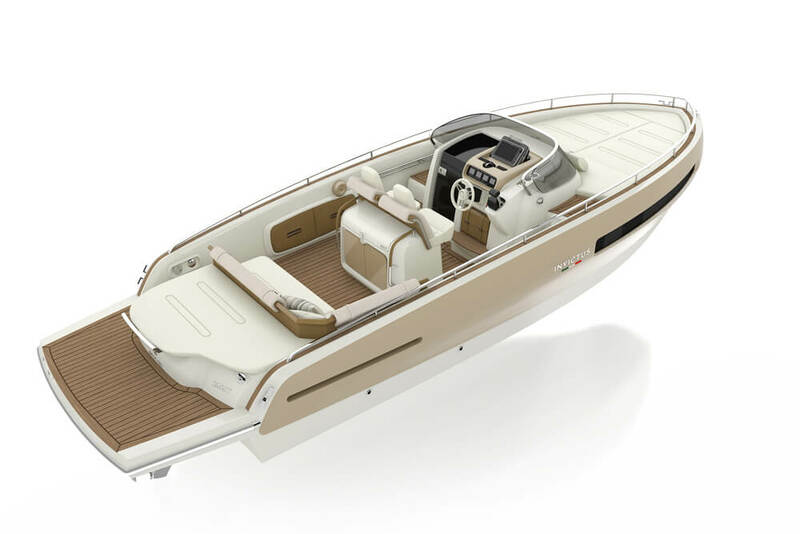 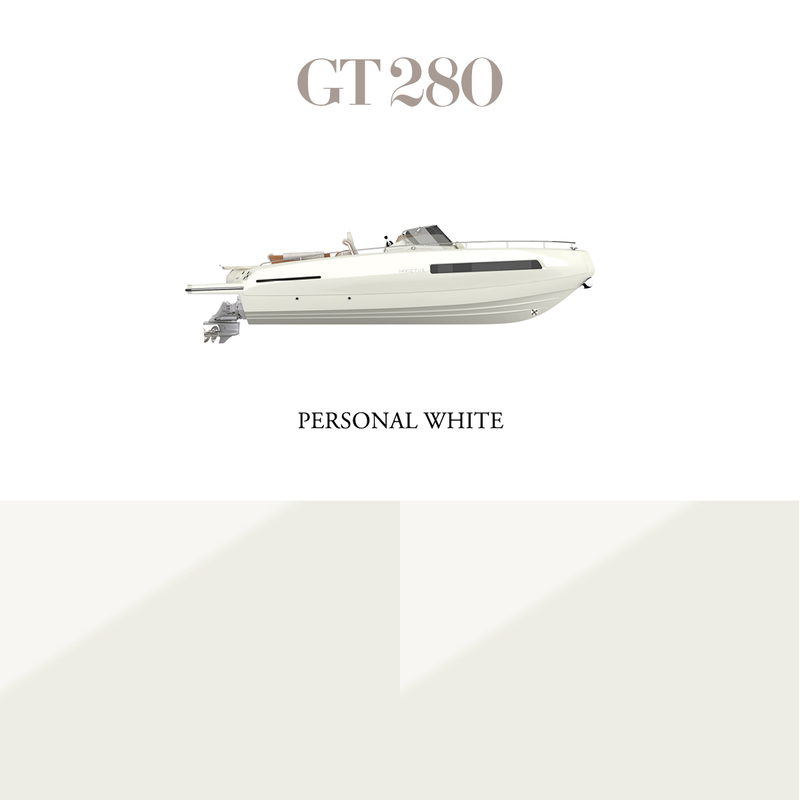 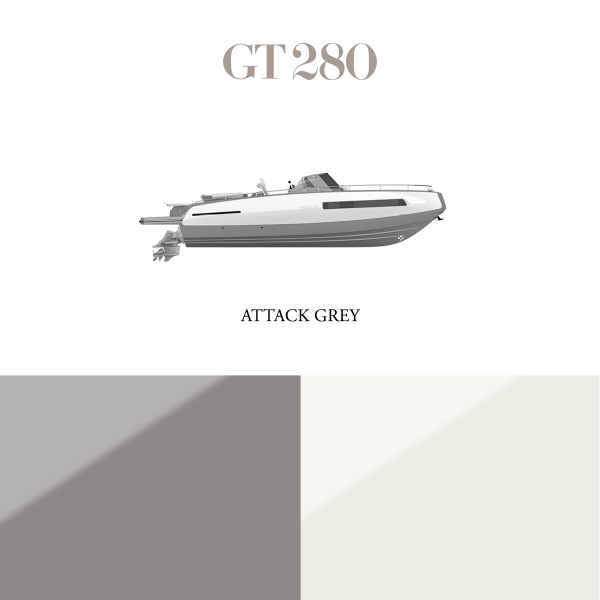 The GT 280, the first born, has an “half-reverse bow”, sharp and sturdy at the same time. 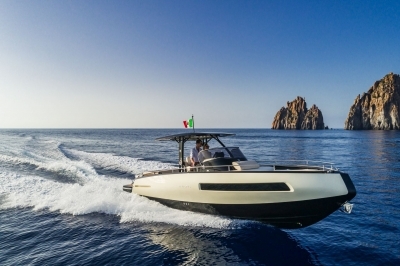 Its pure sides are handled “ad hoc”, with homogeneous transitions from solid to empty, making an exception for the windows and air inlets, made as simple fissures to stress the monolithic signs created on purpose by Christian Grande. 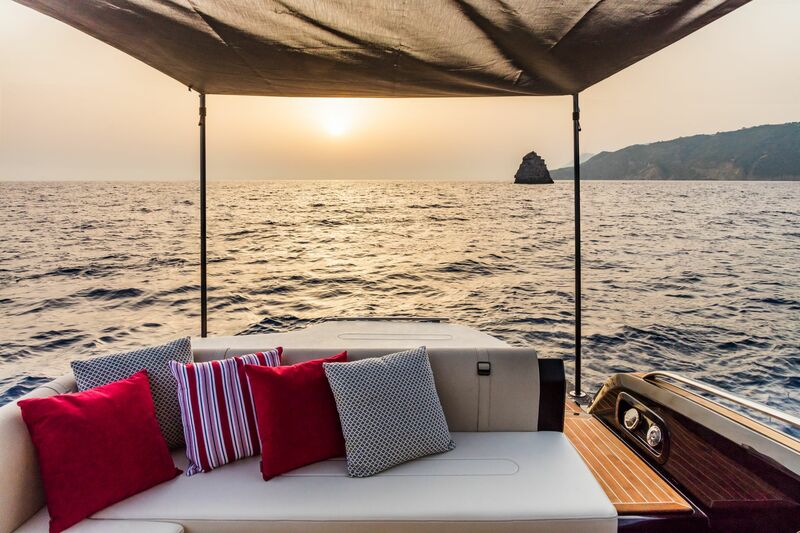 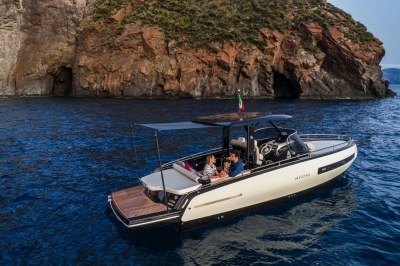 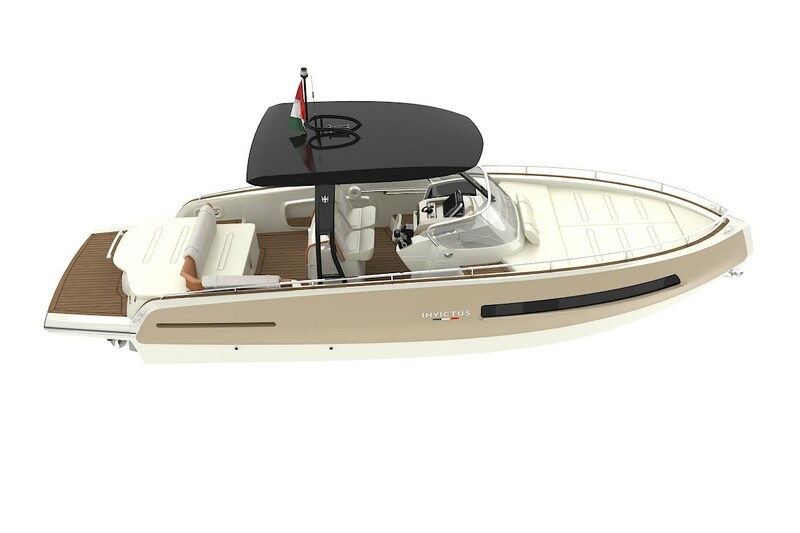 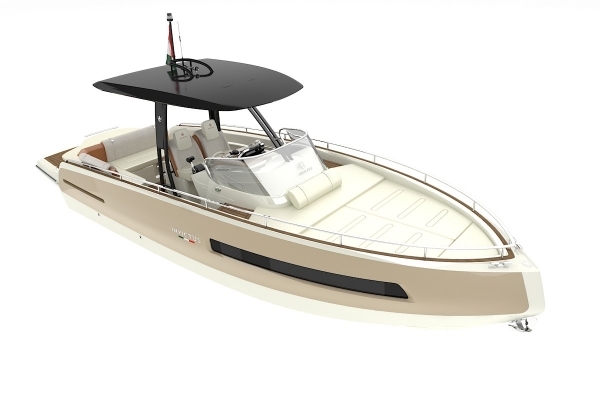 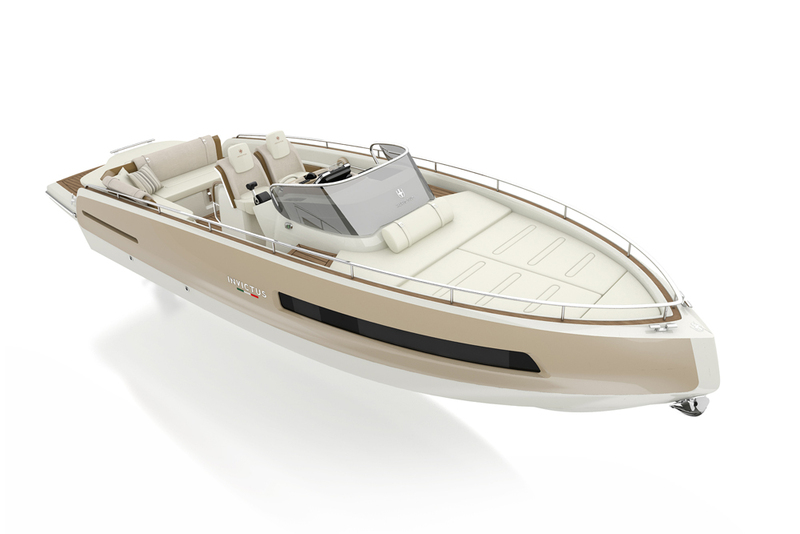 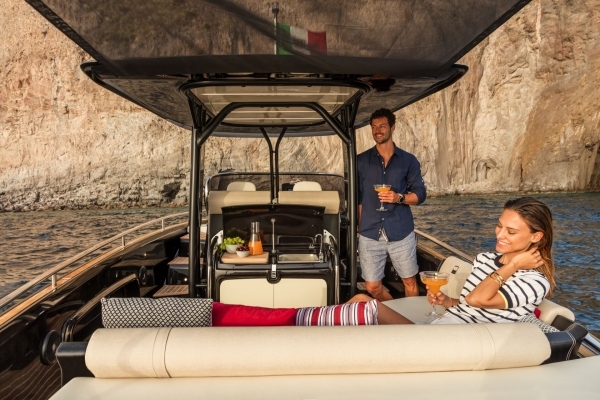 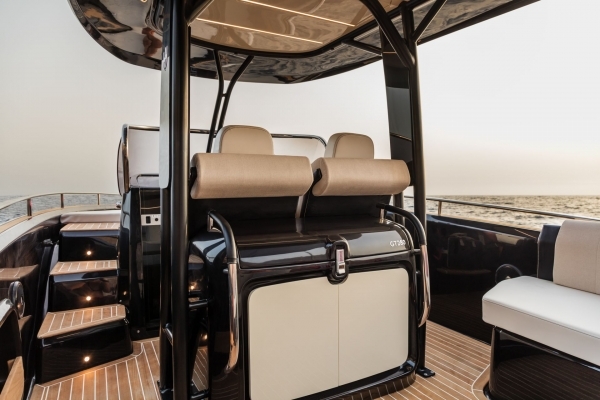 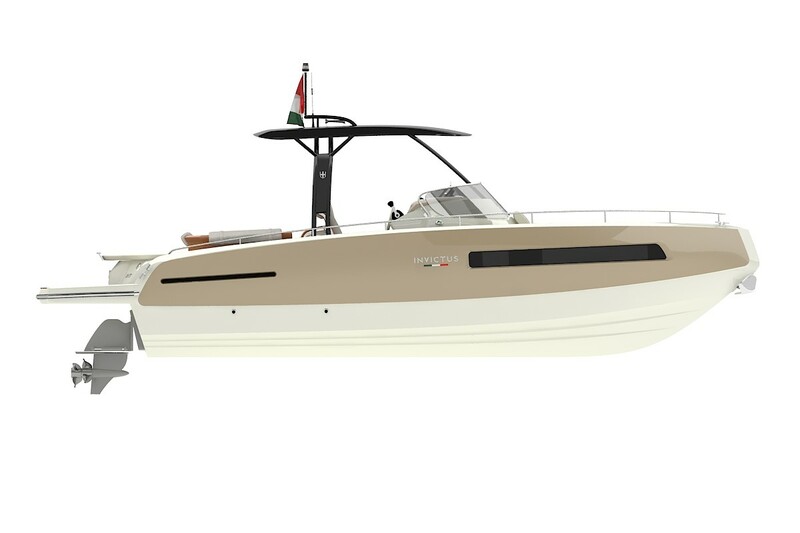 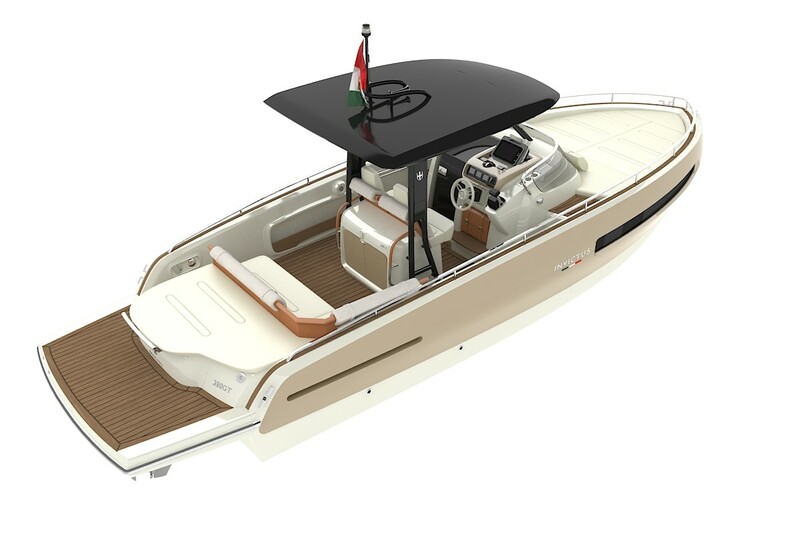 The choice of this special bow shape increases the floating length, guaranteeing more longitudinal stability and offering more space in below deck, gaining more cabin comfort.